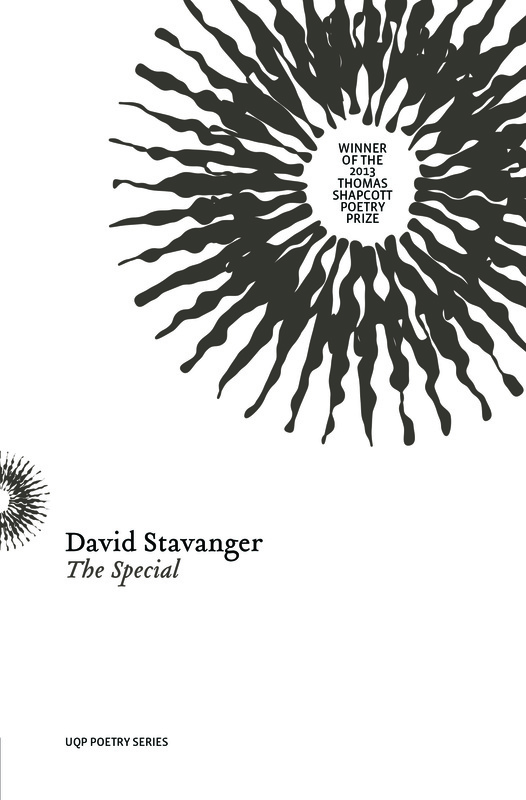 So begins David Stavanger’s first full length collection, The Special, published by UQP as wining manuscript of the 2013 Thomas Shapcott Poetry Prize. As the dedication suggests, this book is an unsettling read; one feels, intentionally so. The poems deal with what is dark and broken in the human psyche, informed, presumably, by the poet’s own personal and professional experiences with mental illness. This is Stavanger’s first serious foray into the world of ‘page’ as opposed to ‘performance’ poetry (a distinction he eschews), the leap between these two hotly fought over territories no doubt entailing a certain risk of the poems falling flat on the page. Yet while the book may, on first reading, appear somewhat stylistically and tonally ‘flat’, upon deeper reading it becomes clear that this has less to do with Stavanger’s poetry not transitioning well onto the page, and more to do with the nature of what the poet is trying to achieve. When exploring states of mind such as depression or psychosis, an emotionally disconnected, disjointed, or even dissociated style of poetry may indeed be the perfect mode of expression. it. declaring yourself a legend. believing it. people won’t talk about it. As if watching a film the narrator observes his own actions and reactions, removed by dark humour and irony at a safe distance from his own experiences. The lifeless tone of Stavanger’s poems gives the effect of dissociation, but also conjures up the spectre of the odd and sinister lurking beneath the everyday. We see this in the poem ‘sleep, hit me’, inspired by the David Lynch film Blue Velvet. c. stay in the car. hard to the wheel. wait for my call. don’t answer the phone. hit the horn. never break. matches lit burn. Here the speaker is literally talking himself through life in a way that most of, at times we’ve similarly struggled to function, would be familiar with. The connection between mental health and the quality of our internal self talk is something Stavanger explores convincingly in The Special, probing the relationship between the language of inner dialogue and external experience, and also the relationship of the official languages of diagnosis and classification to our internal perceptions. For example, in the poem ‘survey’, the absurdity of multiple choice questions and answers highlights the limitations of language to contain and express our deepest and most traumatic experiences. It also suggests how a disjunction between experience and the language used to define it can cause further emotional trauma and alienation. When you consider that this poem is one of three in the book created in response to interviews undertaken with Mummy’s Wish, a support group for mothers diagnosed with cancer, it becomes even more poignant. How can a mental health survey ever adequately assess or express the feelings of women dealing with such challenges? The act of circling answers which in no way relate to the depth of your experience must indeed feel absurd, and Stavanger’s use of form and tone in the poem artfully evokes this. 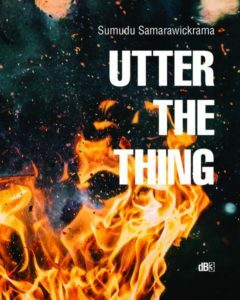 The intense subject matter of The Special might make for heavy reading, but Stavanger’s dark humour, while it doesn’t always hit the mark and can occasionally appear pat, works well to leaven the darkness of the poems. ‘I have nothing in front of me’ the pilot flying the plane in the first poem of the book, ‘optimism’, warns us—and in many ways The Special can be read as an exploration of our human reaction to the existential spectre of nothingness. When contemplating the end, either imminent or protracted, what do we human beings do? As Stavanger does in his poetry, we often use humour as a kind of reflexive defence mechanism. This literary trope is something Stavanger’s work has in common with absurdist and existential Cold War literature such as ‘Waiting For Godot’, a literature which, like Stavanger’s, arose in response to fear of annihilation and a vacuum of inherent meaning. Yet it is not all doom and dark humour; there are thematic and stylistic progressions in The Special. While the poems do descend into the void, they also, in a distinctly Stavanger-esque fashion, rise up again, the narrator choosing to author his own type of meaning, especially towards the end of the book. Here, the tone shifts, growing less cynical and more engaged, the dark humour lifting as the speaker steps back into his body and his life. Referring to himself more frequently now as ‘I’, he no longer attempts to merely assemble himself into the simulacrum of a human being, but seems to actually feel like one. He also begins to reinhabit the roles of father, son and partner, referring to family members as ‘my’ and ‘we’ instead of the formerly used objectifying ‘you’. MICHELE SEMINARA is a poet, editor and yoga teacher from Sydney. Her writing has appeared in many online and print journals and anthologies, and her first poetry collection, Engraft, was recently published by Island Press (2016). Michele is also the managing editor of creative arts journal Verity La. She blogs at TheEverydayStrange and is on Twitter @SeminaraMichele.